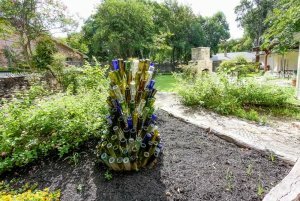 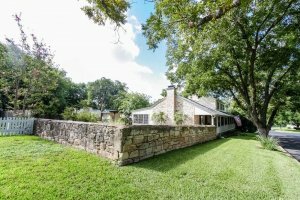 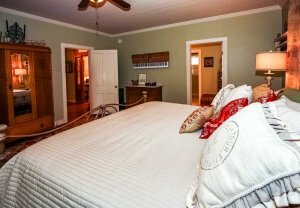 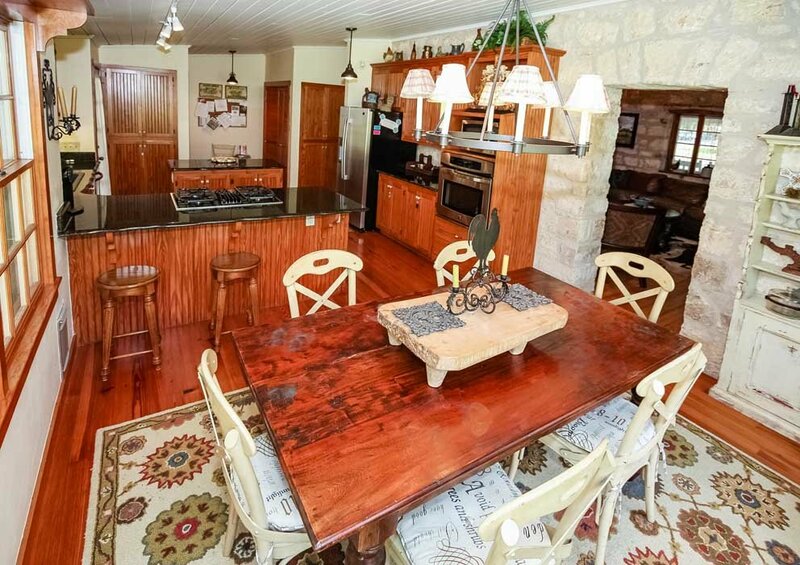 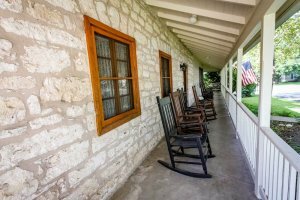 There are few historic limestone homes in Fredericksburg that exude the warmth and charm of Creek and Crockett Bed and Breakfast. 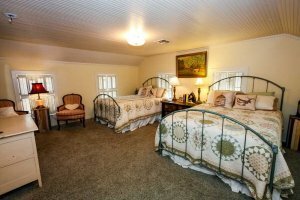 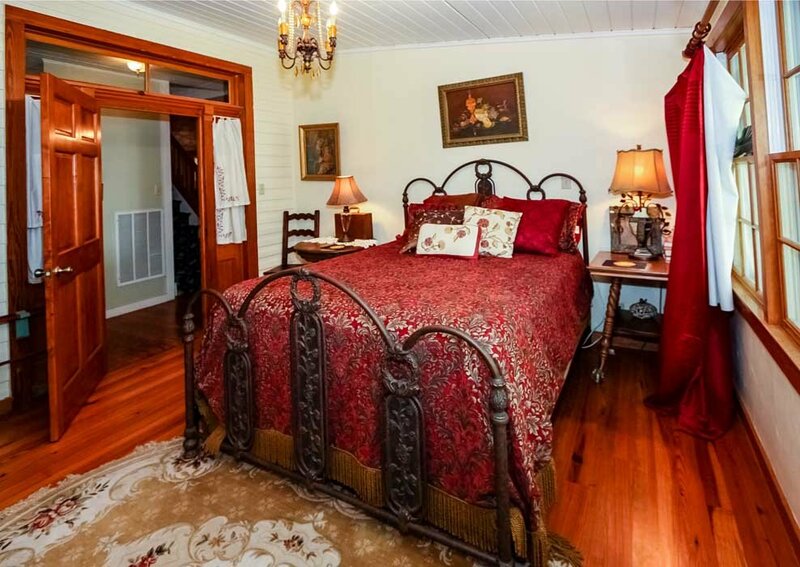 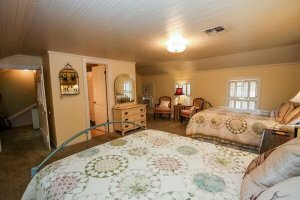 This delightful B&B is located just a short stroll to the heart of Main Street shopping and offers three bedrooms and two full baths. As you enter the front door via the wonderful old porch, you are welcomed by wooden rocking chairs that provide the perfect environment to enjoy a bottle of wine and relax. 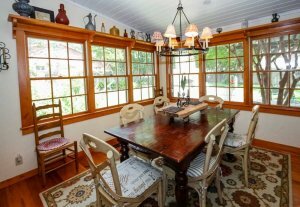 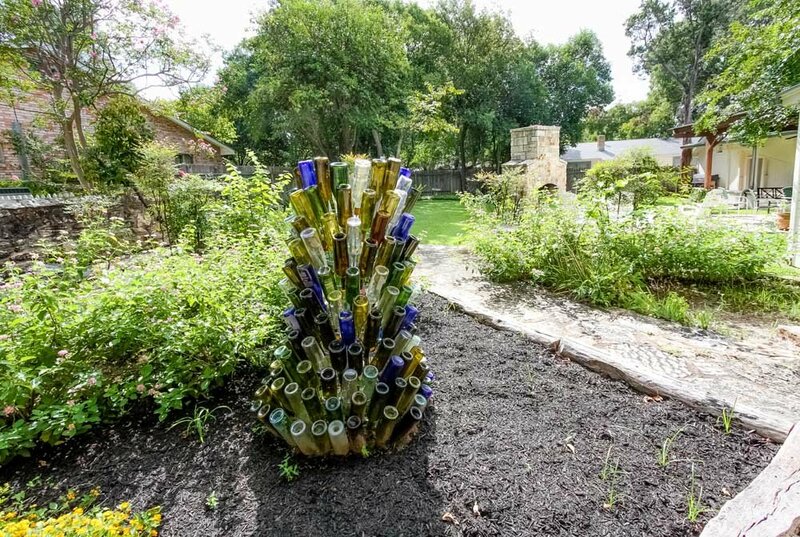 Upon entering this gorgeous home, you will find a large, comfortable den surrounded by original artwork and antiques. 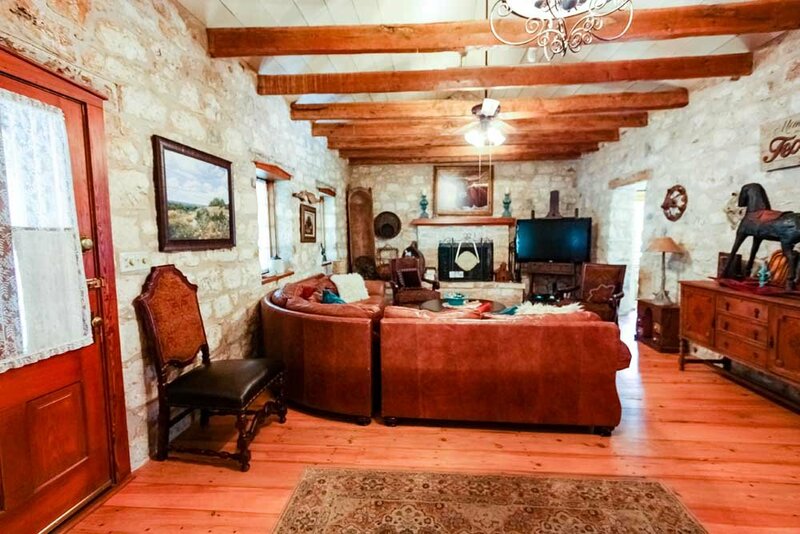 Enjoy the 56" flat screen TV from the comfort of a large leather sectional sofa. 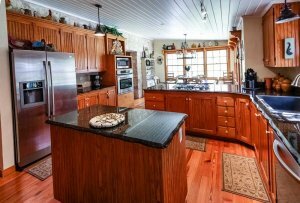 Next you will find a light and bright kitchen and dining room with seating for 6 and beautiful granite countertops with bar stools for additional seating. The full kitchen offers all the comforts of home and everything you need to prepare a lovely meal. 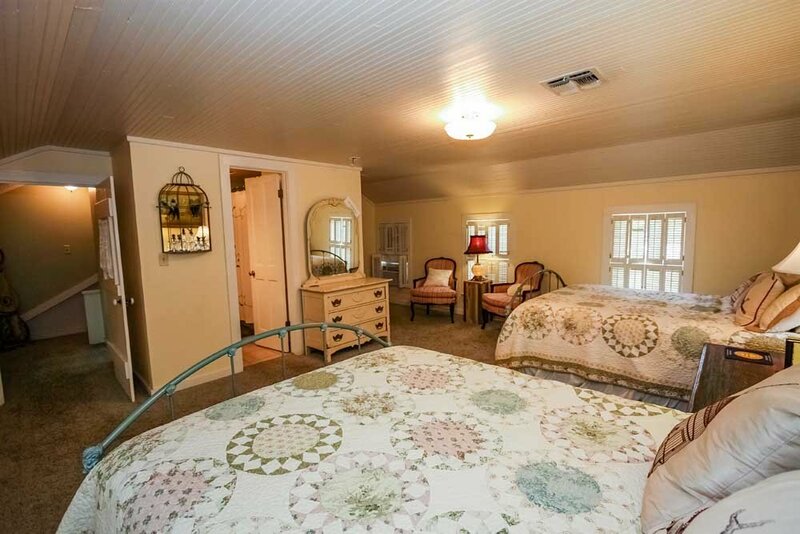 There are three bedroom two and a half bathrooms. 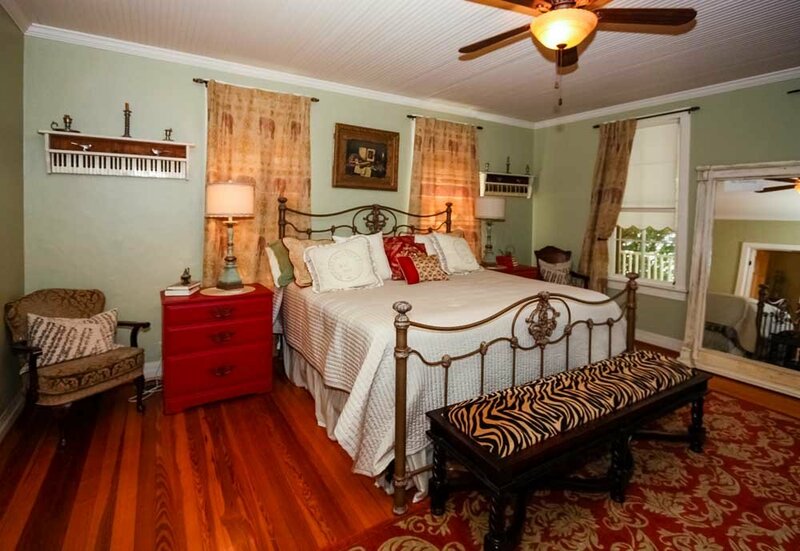 Downstairs offers two bedrooms, one with a king-size bed and one with a queen-size bed. Between the two rooms is a “Jack and Jill” style large bathroom with a shower. 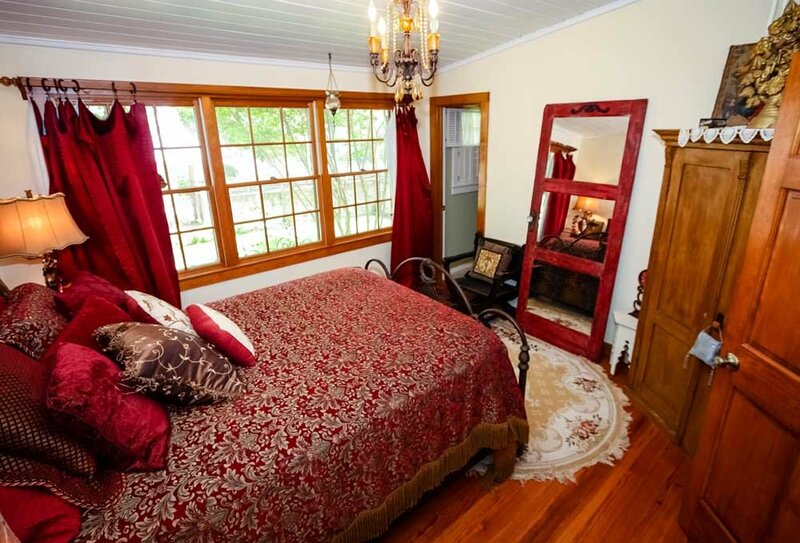 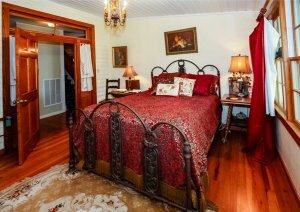 Upstairs you will find a third bedroom with two queen-size beds and the second bathroom with a tub/shower combination. 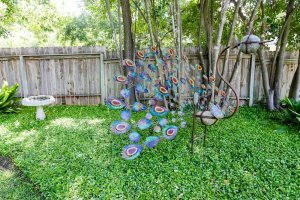 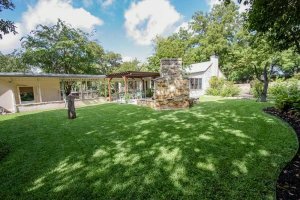 While the distinctive decor, wood floors, beamed ceilings and limestone walls inside the home are surely a draw, the home's most memorable feature may be its fabulous backyard. 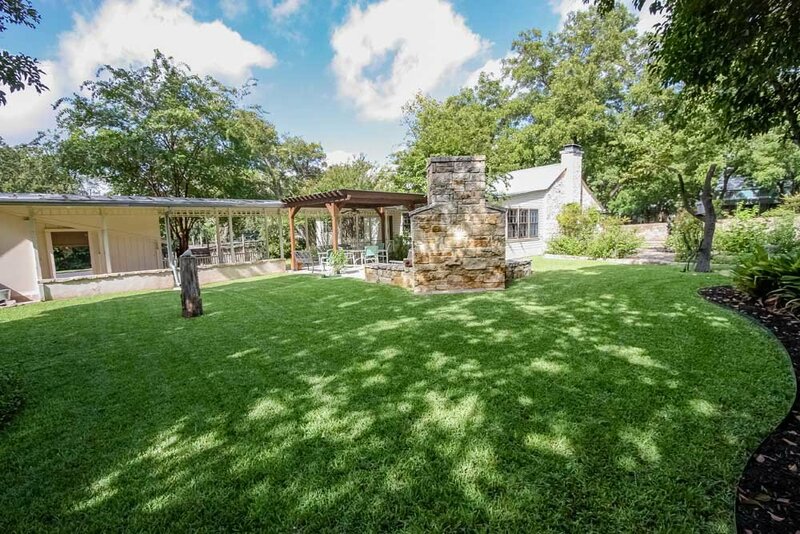 Guests enjoy a beautiful outdoor sitting area complete with outdoor fireplace. 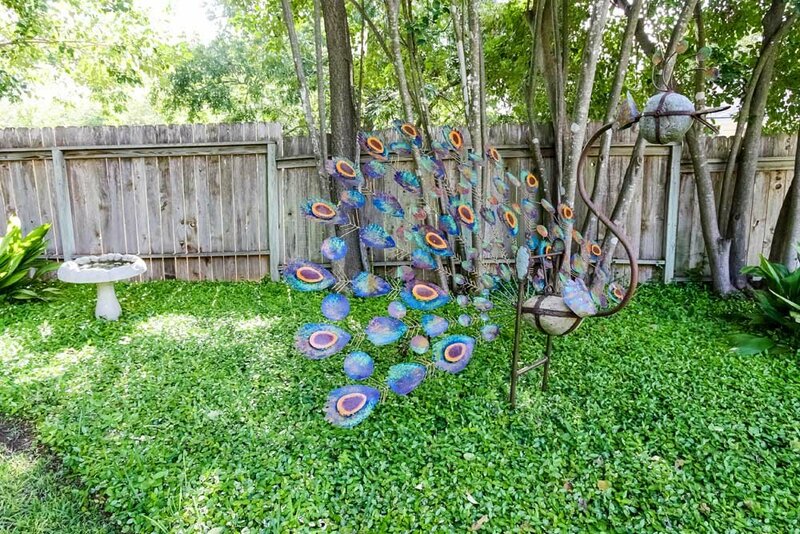 After a great day of browsing the Main Street shops, just walk back, put your feet up and enjoy this back yard haven. 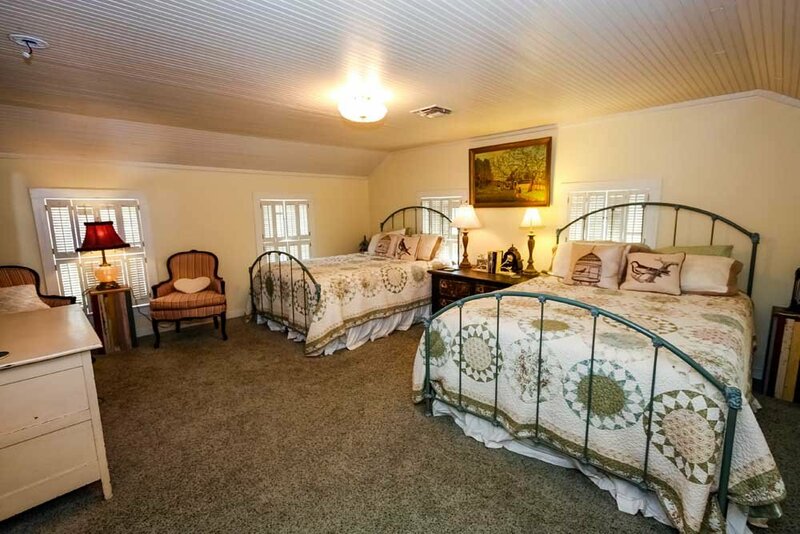 With so many amenities to offer couples and groups, don't delay reserving your time in this special place!